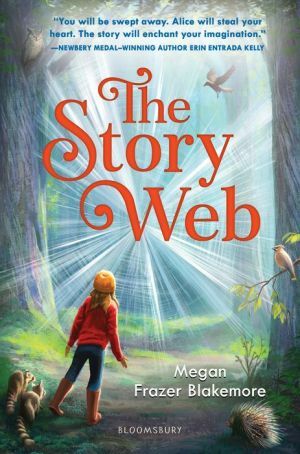 In this heartfelt, magical instant classic, Megan Frazer Blakemore shows how the truths we tell can change the world. When Alice was little, she found a gigantic spider web deep in the forest. Her dad called it the Story Web and told her how its strands were woven from the stories that hold our world together. Years later, Alice's dad has gone away for reasons Alice is sure are her fault. Now she won't even talk about her dad and definitely no longer believes his farfetched stories. But when animals in town start acting strangely, she can't ignore them. The Story Web is in danger--and the fabric of our world is breaking. The only way to mend it is to tell honest tales from the heart, even if they are difficult to share. In this magical tale of truth and honesty perfect for fans of Katherine Applegate, Megan Frazer Blakemore deftly weaves fantasy into the real world.